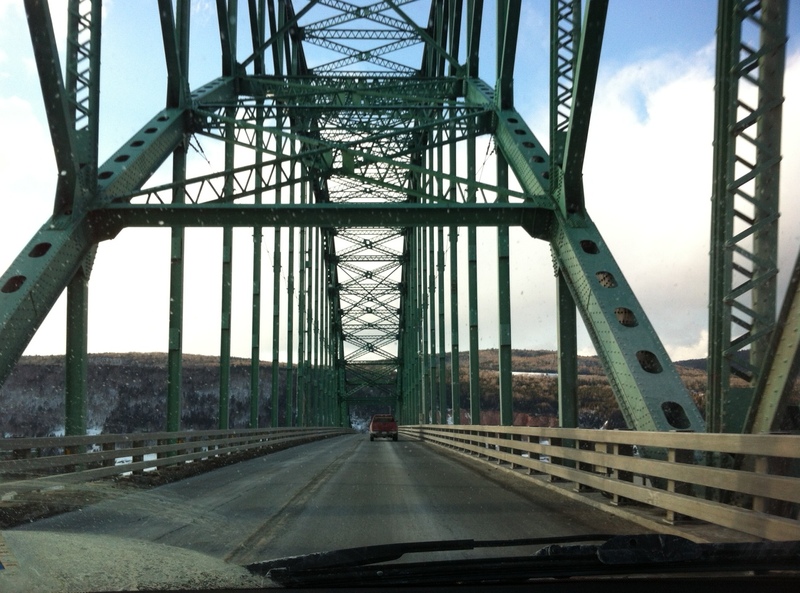 This shot was snapped quickly while I was driving across the Seal Island Bridge yesterday, on my way to Baddeck to my friend Tanis’s hair salon. She’s been doing my hair for years and so I trusted her to chop off my long hair so I can go short! (Edit: this shot shows the hairdo better.) I love a good change of hair style. It feels so refreshing. I don’t have much money these days to go out shopping for a new wardrobe, so this will have to do. And so far I am loving it. 8 Things To Do Alone for a change. Sweet version of Mo Kenney’s song “Sucker”. James Victore on getting lazy as a designer. Elise, three years ago, on social media and what’s the right fit for you. How cooking for others comes back to feed you by the Nova Scotia Local Traveller blog. A beautiful 2 minute video in this post, about a beautiful greeting-card company that was started to cultivate gratitude. I also love the little peeks at the printing and design process. Have a great weekend, whether plugged or unplugged. All that being said, it looks GREAT . .